I really disliked this book at first. It wasn't until chapter 30 that I finally was interested in it. I would have quit it before that had it not been a book club read. I find that I enjoyed the last half. The BIGGEST issue was too much detail..too much random stuff that wasn't necessary.. I will probably get around to trying the second book but hope that it's as good as the last half of this one and not as boring as the first half! Addictive, immersive, and exceptionally well written. As you weave through the life of a witch and vampire, you can't help but marvel at similarities to other books you might have read, yet this is an amazing story in it's own right. By the end, you will have already bought the next book in the trilogy and have it downloaded and waiting. 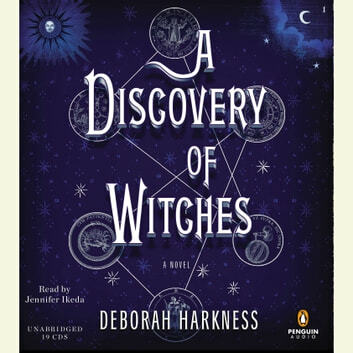 A captivating read, A Discovery of Witches is everything an urban fantasy should be. Saturated in magic, peppered with history, and abundant in star-crossed romance, it's not the kind of book you'll want to put down. 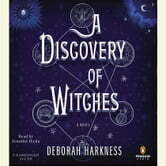 Deborah Harkness weaves an intricate tale of an unseen world within our own, a world of witches, vampires and demons. Her beautiful use of description transports you into Diana and Matthew's harrowing journey, and soon has you feeling like you might have a few powers of your own. I highly recommend this, and Harkness' subsequent novels, to any fantasy enthusiast. I'm really enjoying this book! I have to say, I'm a sucker for romantic comedy. This book has that and a lot more! Suspenseful and capturing. I highly recommend this to anyone who love paranormal.